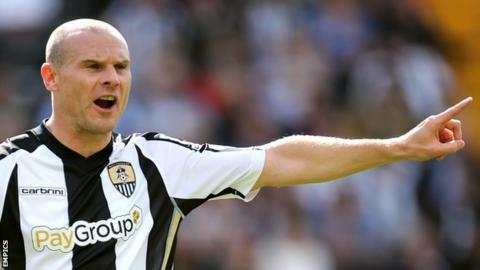 Notts County have won their appeal against the red card shown to midfielder Gary Jones in the first half of Saturday's 2-1 loss against Yeovil. The 37-year-old was sent-off for his challenge on defender Nathan Smith with more than an hour to play. While the Magpies went on to grab the lead, two late goals won it for Yeovil. "It is great that he will not miss any of our upcoming games for what would have been an unjustified suspension," said Notts chief executive Jim Rodwell. "I've no doubt that the sending off contributed hugely to our defeat, however I'm delighted that common sense has prevailed." Former Bradford City, Rochdale and Barnsley man Jones has made 18 appearances for the Magpies since arriving at Meadow Lane in August. Despite Saturday's defeat, Notts remain in the League One play-off places, two points above Peterborough and Oldham Athletic in sixth spot.